Here's a familiar frustration for millions who rely on the Internet to do their jobs, monitor their children, or watch Netflix: your Internet goes out or slows to a crawl. You haven't touched your modem or router in weeks (probably since the last time this happened), but you were in the middle of episode nine of a Game of Thrones season, and suddenly, just as your favorite character is about to die, your Internet dies instead. It turns out it might be your Internet provider's fault, at least according to a new lawsuit filed by New York State Attorney General Eric Schneiderman. In a lawsuit filed this week against Internet and cable provider, he said, "Spectrum-Time Warner Cable has been ripping you off." "The suit alleges that subscribers’ wired internet speeds for the premium plan (100, 200, and 300 Mbps) were up to 70 percent slower than promised; WiFi speeds were even slower, with some subscribers getting speeds that were more than 80 percent slower than what they had paid for. As alleged in the complaint, Spectrum-TWC charged New Yorkers as much as $109.99 per month for premium plans could not achieve speeds promised in their slower plans." The complaint goes on to allege that Spectrum-Time Warner Cable could not possibly have kept promises made to its 2.5 million subscribers in New York State due to deficient modem equipment and an already overtaxed network. It also claims that the company chose to "mask its misconduct" by rigging speed test results. This comes after Time Warner Cable was acquired by the cable company Charter Communications last year and rebranded Spectrum-Time Warner Cable. The state is seeking restitution for 5 million subscribers affected by the alleged practices since January 2012. "Even now, Spectrum-Time Warner Cable continues to offer Internet speeds that we found they cannot reliably deliver," Schneiderman said. Charter Communications responded claiming it had made "significant commitments" to customer service in New York State and saying it would defend its business against the allegations. 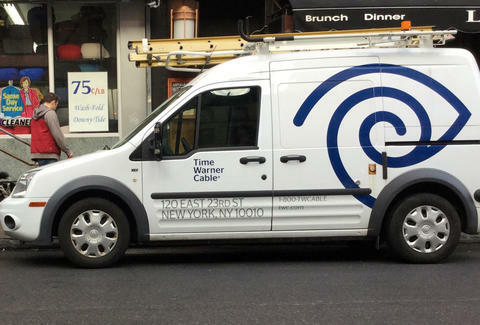 "We are disappointed that the NY Attorney General chose to file this lawsuit regarding Time Warner Cable's broadband speed advertisements that occurred prior to Charter's merger," the company said in a statement. If the lawsuit is successful, restitutions could be worth upwards of hundreds of millions of dollars.